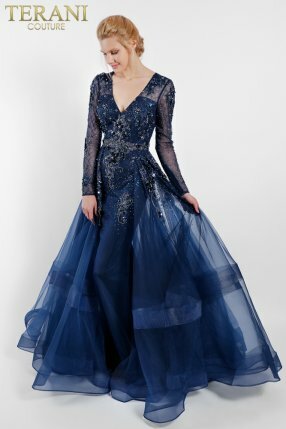 Terani Couture is known for designing the best homecoming dresses with the most unique styles and quality fabrics. Homecoming is an important time for Juniors and Seniors, searching for that unforgettable dress of their dreams and Terani provides that. We’ve designed a collection of stunning dresses that will take your breath away. You want to be the most fashionable star at homecoming and you’re completely covered with Terani Couture’s trendy short styles. 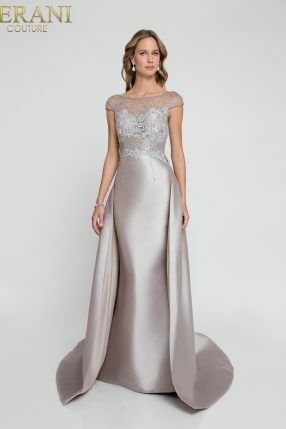 Browse two piece fashion forward ensembles with star quality jewel encrusted shine or opt for a flattering sweetheart neckline style with fairytale tulle. 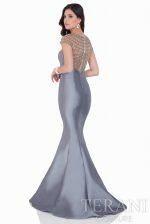 You can arrive sleek and chic with one of our illusion sleeveless dresses with luminous full body bead detail or turn every head in one of our long sleeve fit and flare looks. Lace, Mikado, and sequin dresses like you’ve never seen before. Terani brings versatility and creativity to the next level with homecoming dresses that can be worn for any special occasion. We have a knockout dress for every sense of style. 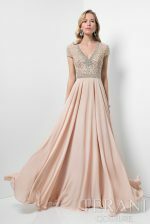 Looking for the perfect couture Mother of the Bride Dress? As the Mother of the Bride, many eyes will be on you during the wedding ceremony and reception – so you’ll want a dress that feels like it was made for you. We’ve crafted a beautiful collection of MOB dresses – from long, sleek column gowns to intricately-detailed, cocktail hour-inspired frocks – to ensure that you find a dress to celebrate this special day in. Whatever your style, body shape, or color palette, we’ve got an elegant, unforgettable Mother of the Bride dress for you. Terani dresses are worn by women around the world, for every special occasion. And why? Because Terani is a recognized fashion leader in chic formal style, and we know that the perfect dress can make any event even more special. No day deserves this more than celebrating the wedding of your daughter or son.